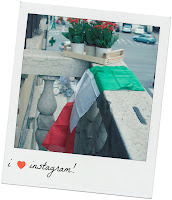 Its quite easy to envision the fashion atmosphere of NYFW to our natural American eyes but what does MFW in Italy look like? Before we hit the runways and backstage let's take a glimpse at the castle, courtyards and confetti that is the rad set of MFW. 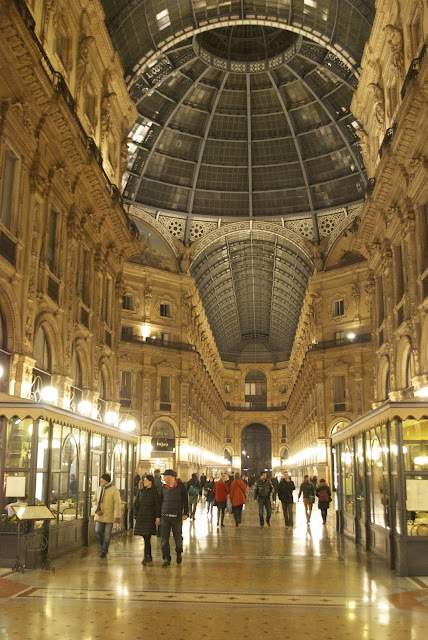 Located in the heart of the city, tents go up and runways go live within the gates of the Sforza Castle. Only thing missing? 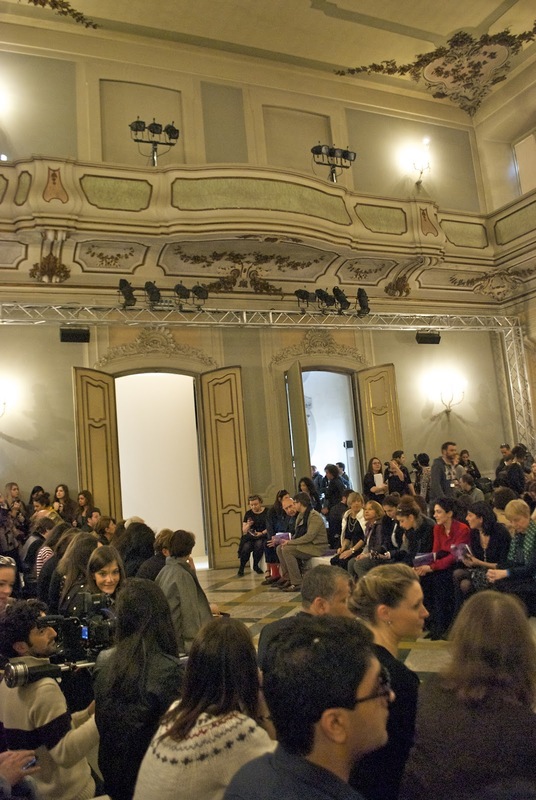 A mirror to name the fairest fashion show of them all at this fairytale setting. 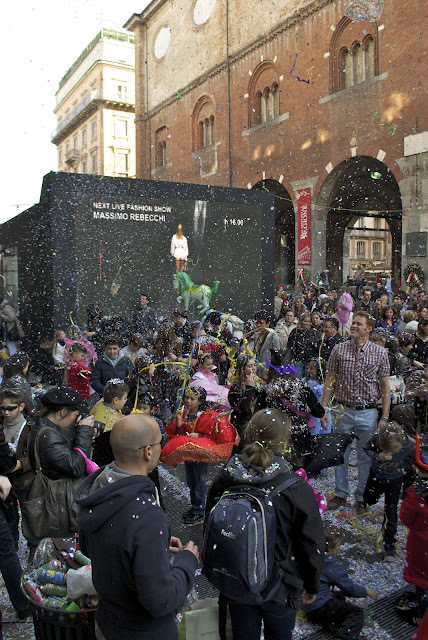 How about a fashion square dedicated to a winding red carpet, a one story box TV broadcasting the latest fashion shows live and confetti flying in the air becoming your new hair accessory for the day (more on this confetti run in later!). 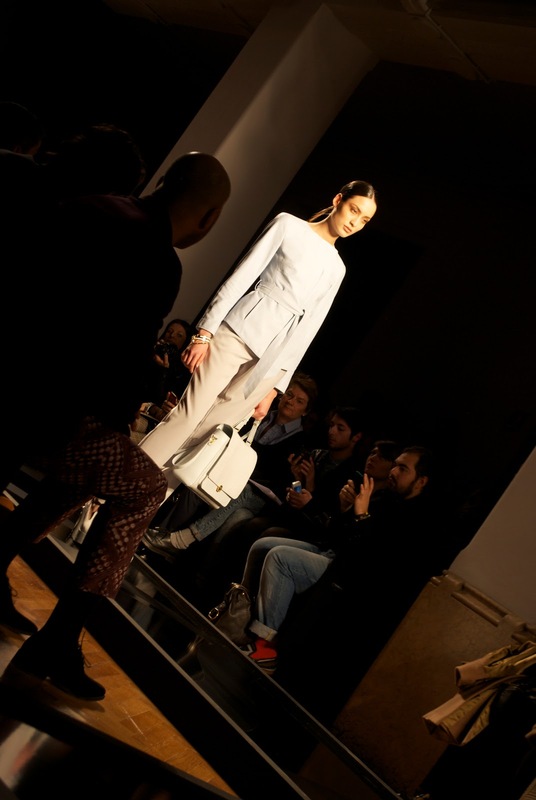 Talk about a good time, MFW is one big party for fashionistas and locals alike. Old becomes new again with the breath of new fashion blown into this archaic building. This estate with a cobblestone courtyard boasts fashion shows of Les Copains, Massimo Rebecchi, Silvio Betterelli and more. 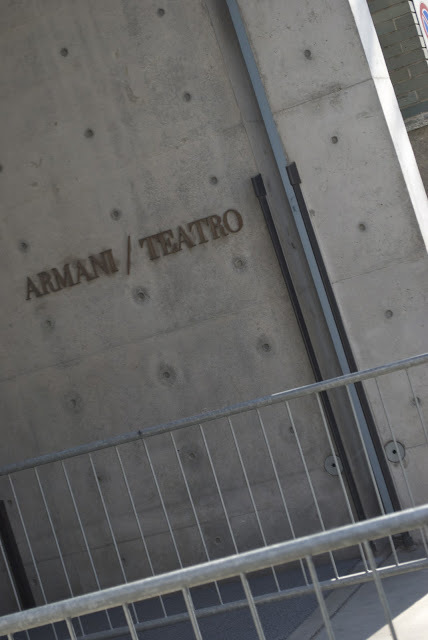 Armani has its own fashion theater in the heart of the city for their shows. Wow to that and hello high fashion. From the runways to the racks. 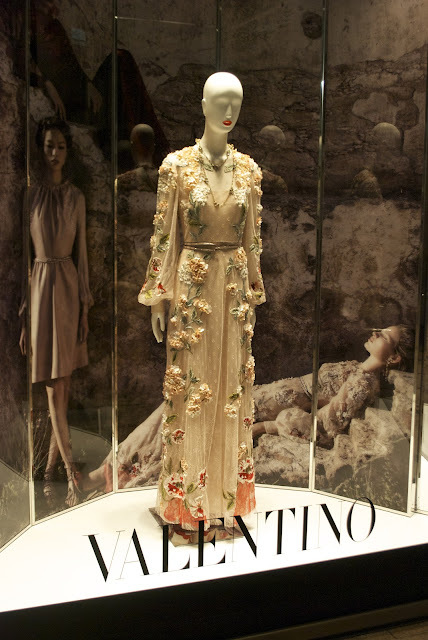 In between shows fashion-goers and locals hit up this museum like shopping at Via Montenapoleone. The art on display you ask? That would be the Versace and Prada window displays. is that tyson sticking out in his plaid shirt in all that confetti??? i thought you were kidding.. that confetti is amazing. i want it now at every party.